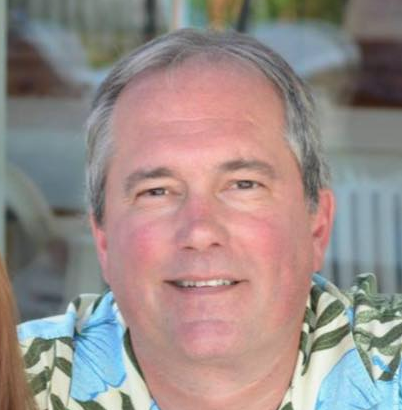 Walls, a union carpenter battling his way back from a severe, paralyzing case of West Nile encephalitis, are inviting the community to a fundraiser next month. 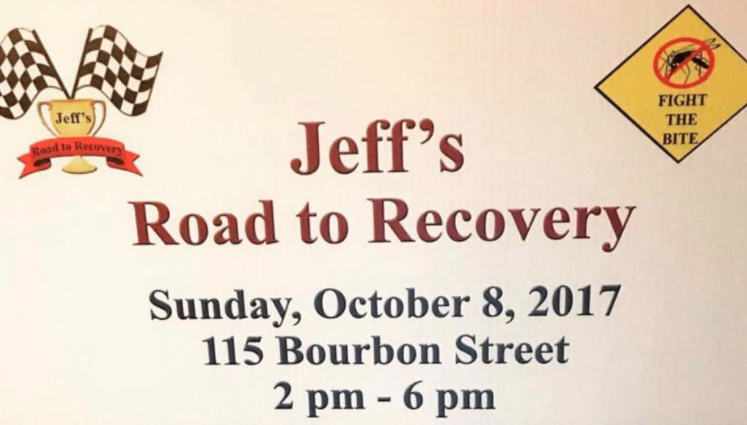 The “Jeff’s Road to Recovery” benefit is set for 2 to 6 p.m. Sunday, Oct. 8 at 115 Bourbon Street, 3359 W. 115th St., Merrionette Park. Tickets are $30 for adults and includes a four-hour open bar (beer and wine) and food buffet. Tickets are $20 for those under age 21 (as young as age 6). The event will feature live music, raffles, gift baskets and more, including sports memorabilia like a Chicago Blackhawks jersey autographed by Denis Savard. Walls’ wife, daughters and son are expected to be on hand, leading the event. 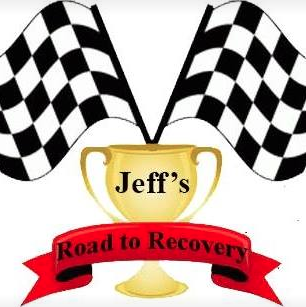 To learn more about purchasing tickets, visit the Jeff’s Road to Recovery page on Facebook. 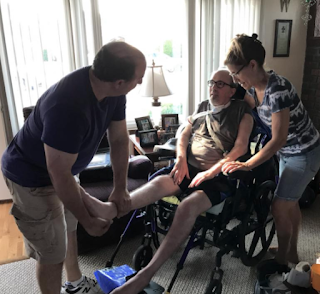 Back in March, Walls had been flat on his back for seven months, felled by a mosquito bite that gave him West Nile encephalitis and left him completely paralyzed in a hospital bed set up in his Garfield Ridge home. usual and chalked it up to the summer heat. The next day, he went to work but came home early. In the days after that, his energy level continued to fall. He started experiencing double vision, was feverish and sweating and seemed to take a long time to formulate answers to questions. Trips to the emergency room, as well as multiple blood tests, did not yield a diagnosis of West Nile Virus infection, his daughter, Ariana, said. Doctors put him into a coma for his own protection. He lay there for three months, coming out “super slow” in the fall, his daughter recalled, saying that her dad’s case is one of the worst cases of West Nile-related disease ever documented in Illinois. Encephalitis is a dangerous inflammation of the brain It is a rare complication of West Nile Virus infection. More than a year after infection, Walls is still profoundly disabled but has regained some mobility, his daughter said. He can move his right arm. He talks more. He’s still on a ventilator, but he can communicate more. Therapy is helping him speak better. However, insurance has run out for in-home nursing care, which he needs 36 hours of every week. 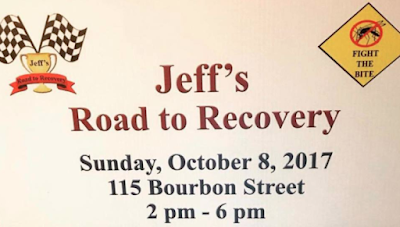 Those unable to make the October fundraiser are encouraged to visit gofundme.com/supportjeffwalls to make a monetary donation electronically.